Since we’ve started architecture inspiration series, it gets lots of responses from our readers. Within this series we’ve posted many great posts such as creative offices, beautiful bridges etc. 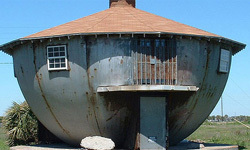 Today we are showcasing some real building structures that are great but simply unusual.